Ahh, the old Palm Pilot. One of the best bits of inadvertent branding ever. 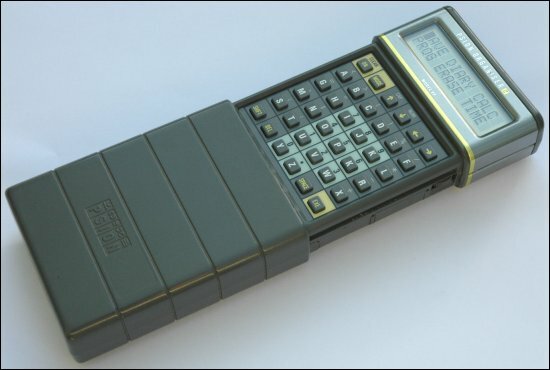 An old IT journo I knew used to use the term "Palm Pilot" to describe the type of corporate, well, 'Palm Pilot', that used them. And the Sony Rolly, that has to be the most pointless thing I have seen in a long, long time. I really want one. It is like the C21 version of those dancing flowers with the sunglasses that were all the rage in the 80's. As for well designed computers, it baffles me how Apple can have a monopoly on elegant hardware. I would dearly love to buy something else, but I honestly cannot find anything that looks as nice. Anyone with notebook suggestions who would like to prove me wrong, I would be delighted. But all that ever came to light was a feebly pale imitation in the form of the thinkpad reserve edition. I saw a couple of Yogie (assuming that is the plural) at the China Design Now expo at the V&A earlier this year. They were stunning. So if they can design this type of stuff, why do Lenovo continue to make such pig-ugly machines?